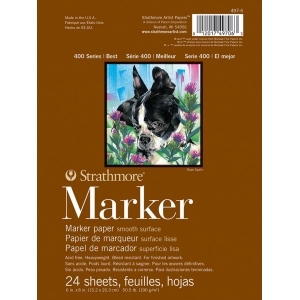 Strathmore proudly introduces our new 400 Series Marker paper developed for fine artists who create finished art using a variety of marker types. 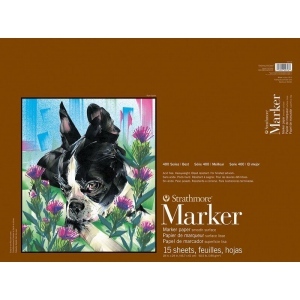 * Markers glide easily over the silky smooth surface aiding blending and supporting vibrant color and subtle hues. 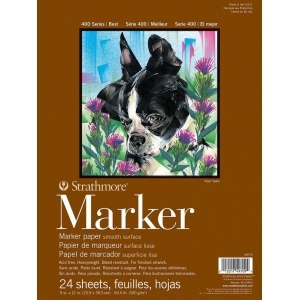 * The acid free heavyweight sheet is bleed and feather resistant so artists can apply layer after layer of color. 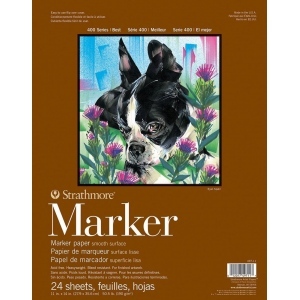 * Convenient flip over covers allow pages to tear out cleanly.